It’s been all systems go for our Australian Design Hounouree Greg More. 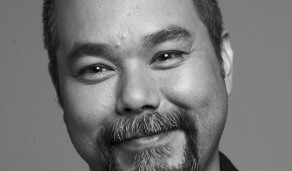 Invited to talk at TEDxMelbourne, designer, founder of data visualisation studio OOM Creative and Senior Lecturer at RMIT University, he spoke about the ways in which data visualisation can help us interact with our cities. We could be forgiven for thinking the topic would be quite dry, but as an expert in digital design, Greg makes data visualisation interesting and compelling. Don’t believe us? 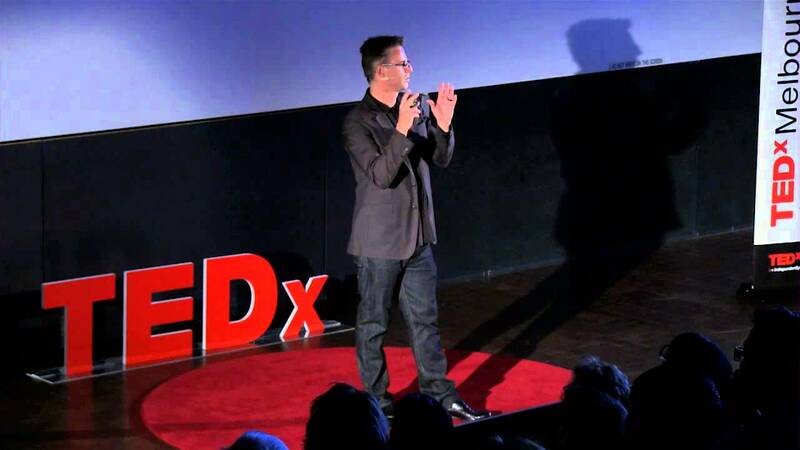 Check out the TED talk here! As a designer and expert in data visualisations that connect art, design and technology, Greg specialises in translating massive amounts of complex data into visually elegant displays that tell powerful stories. 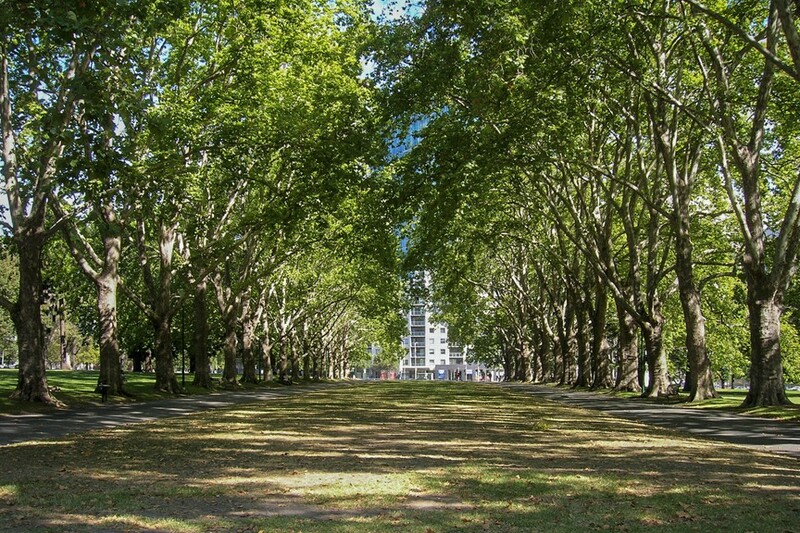 Working with the City of Melbourne, Greg and OOM Creative created a digital platform to communicate the central issues of the city’s urban forest. 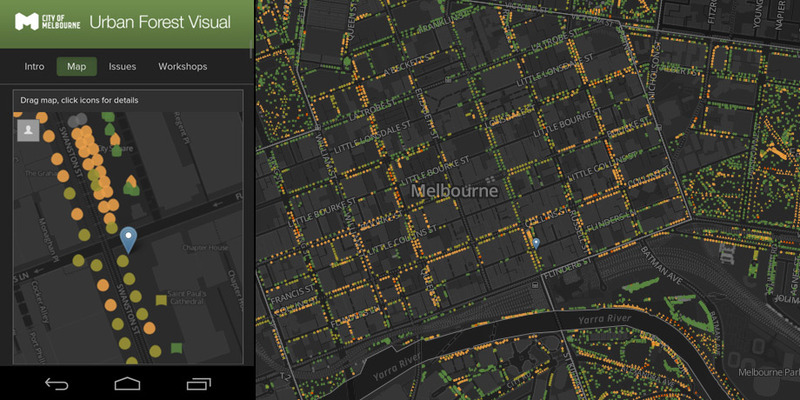 Key to this platform was an interactive health map for every tree that the City of Melbourne manages, enabling citizens to quickly see the state of their favourite tree – a lot of which are reaching the end of their life expectancies. You can read all about the project here. A surprising and sweet byproduct of the Urban Forest project, which gave each tree an ID number and individual email address, started when people emailed the trees to thank them for their existence. And if that’s not cute enough for you, sometimes the trees write back! Read a piece The Atlantic wrote about the adorable tree love letters. As a part of the National Gallery of Victoria’s Melbourne Now exhibition in late 2013, Greg created an aesthetically engaging art installation that conveyed masses of data pertaining to Melbourne’s cityscape in a way that made you actually interested to engage in – no mean feat! Here’s a short interview Greg did with NGV about the project, and a detailed description here. 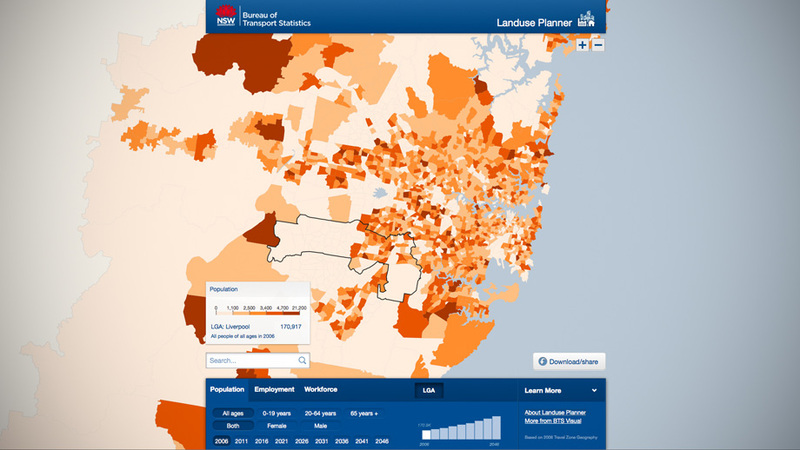 And finally, in a bid to make transport data more accessible and interesting, Greg and OOM Creative are developing a suite of new data visualisation interfaces for the NSW Bureau of Transport Statistics. This data, traditionally supplied as spreadsheets or static maps in PDFs, will use interactive visual tools designed to be useful for planners and transport experts, as well as become accessible and utilised by the general public. For anyone who uses public transport in Sydney, Greg’s involvement in a project that could potentially redesign and reinvigorate the system is much appreciated! As a designer, founder of data visualisation studio OOM Creative, and Senior Lecturer at RMIT University, Greg More specialises in translating massive amounts of complex data into visually elegant displays. These displays tell powerful stories. Past projects include visual presentation of the use of water within urban environments (especially relevant during Melbourne’s severe water shortages) and a dynamic digital interface that allows users to seamlessly navigate vast amounts of multi-media. The latter was exhibited as part of Design and the Elastic Mind at the Museum of Modern Art, New York, in 2008.